Here at Warm for Life, we’re big fans of Worcester Bosch boilers. And it looks like they’re big fans of us, too, as we’ve recently been promoted to Platinum Accredited Installers. 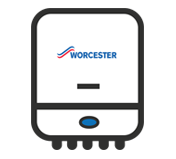 This means we install over 150 Worcester Bosch Boilers annually – one of the most experienced in the UK. Our new status is great news for our customers. When you choose Warm for Life for your boiler installation, you’re getting the best of both worlds. A market-leading product that’s guaranteed for up to 10 years, and high quality workmanship from qualified, experienced and reputable engineers.